Sen. Claire McCaskill, D-Mo., speaks during a hearing on Capitol Hill in Washington this week. McCaskill, who is facing re-election in a heavily Republican state, says she will vote to not confirm Judge Brett Kavanaugh to the Supreme Court. "[My] decision is not based on those allegations but rather on his positions on several key issues, most importantly the avalanche of dark, anonymous money that is crushing our democracy," McCaskill wrote. "He has revealed his bias against limits on campaign donations which places him completely out of the mainstream of this nation," she wrote, adding that she was "also uncomfortable about his view on Presidential power as it relates to the rule of law, and his position that corporations are people." Ford's accusation has caused a delay in the committee's vote on whether to recommend Kavanaugh, whose nomination would then need to be approved by the full Senate. McCaskill is in a tough re-election fight in a state that has gone Republican in the last five presidential elections. In several recent polls, she is in a dead heat with her opponent, Josh Hawley. 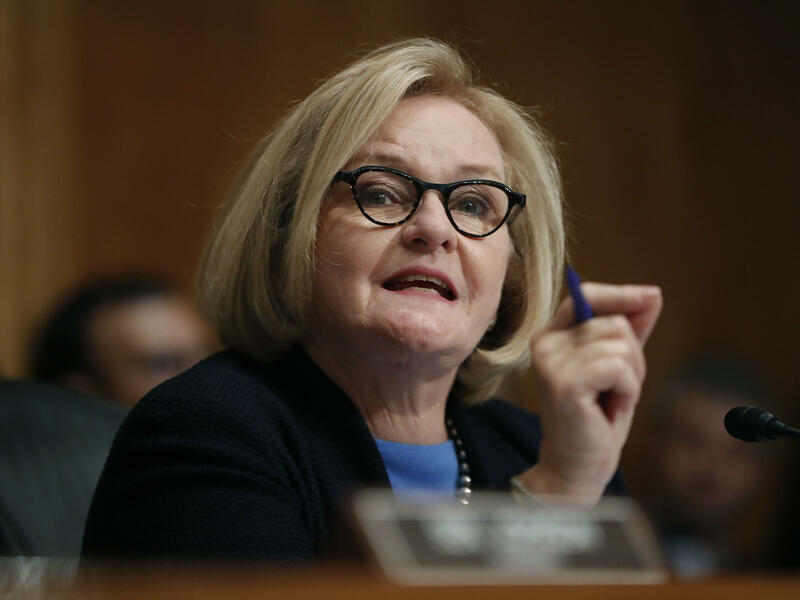 "McCaskill is the first of five undecided Senate Democrats in competitive re-election races to come out against Kavanaugh. "Her decision had been awaited by those watching her close re-election battle with Republican Missouri Attorney General Josh Hawley, who has urged Kavanaugh's swift confirmation."